The Professor is gone. Pete Van Wieren recently passed away after a long battle with cancer. I love baseball, and the death of Tony Gwynn was sad for everyone associated with baseball in any manner. However, the death of Pete Van Wieren hit home for me and made me genuinely sad. Just as Braves fans were celebrating the inductions of Bobby Cox, Greg Maddux, and Tom Glavine into the National Baseball Hall of Fame, they were hit with the news of Van Wieren’s passing. Each one connects back to the run of 14 straight division titles for the Braves. As a kid growing up in suburban Atlanta they were all a part of my childhood. Listening to Cox cheer on the players or get in the face of an umpire to protect one of his players. Watching Maddux and Glavine pick apart opposing batters, often getting borderline calls which other pitchers with less impressive resumes would not get. Through it all there were Skip Caray and Pete Van Wieren calling the games. These men were the voices of my obsession with baseball when I was growing up. 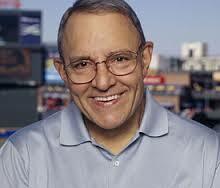 The nasally voice of Caray with his one liners, countered perfectly with the precise information of Van Wieren. They were amazing on their own, but together they were golden. I have no doubt that both Skip and Pete had their faults but to a boy so in love with baseball and rooting hard for the Braves every night, they were saints. Every team has their own voices. Some even share these voices with the rest of baseball. The Dodgers share Vin Scully, the Tigers shared Ernie Harwell, the Cardinals shared Jack Buck, the White Sox share Hawk Harrelson, and the list goes on. However, Skip and Pete always seemed to not garner the same national recognition as the others, despite the Braves being on television nationally nearly every night thanks to owner Ted Turner and TBS. I have personally met die hard Braves fans from Rochester, New York (Van Wieren’s hometown), Billings, Montana, and other cities which should be far outside the reach of the Braves. In some way this has made me love Skip and Pete even more, they were the Braves treasure to enjoy. We did not have to share them with the rest of baseball, they were ours. Game 7 of the 1992 NLCS is the proof that Skip and Pete were ours. The call by the national broadcasters is as foreign to me as speaking Russian. However listening to Skip and Pete call the game continues to give me Goosebumps. Skip talking about “alotta room in right center” and Sid Bream’s mad dash home from second on Francisco Cabrera’s single to left field and Barry Bonds’ throw being too late. I had just turned six when that play happened but I can remember jumping up and down then and when Marquis Grissom caught the final out of the 1995 World Series. These calls by Skip and Pete will forever be the sound track of my childhood. Every broadcast for the Braves with Skip and Pete began the exact same way. The camera would come on in the broadcast booth and Skip would say “Hello everybody”. It always made you feel like he was talking to you and your family. In the same way in which Red Barber, Jon Miller, and Tim McCarver in my mind have a full name because they are broadcasters, Skip and Pete only have one name each because they are family. They were not working, they were simply telling you what was happening in their opinion, often times with a pro-Braves slant because they too were cheering for the Braves. Most people want a neutral announcer, not me, I want someone who will celebrate an important win or be angry when an umpire blows a call or will laugh when a player does something funny. I want to watch the game with family and friends and this is exactly what Skip and Pete gave you and me every night. Skip carried on the family business from his father Harry Caray, while he could be just as entertaining as his father, he could also be serious in his own manner. This has passed on to his own son Chip Caray, who broadcast with the Cubs for a while but has found a home with the Braves now. Chip is his own man but you can definitely tell there is Carey blood in him. Pete sought to change his family name, as chronicled in his autobiography Of Mikes and Men. His father abandoned him and his mother when he was young, so he sought to reclaim the dignity of the Van Wieren name. I view Vin Scully as a grandfather figure, Harry Caray as the fun uncle, Bob Uecker as the crazy cousin, Skip as the wisecracking older brother, and Pete as the smart friend who never ceases to amaze you with his vast knowledge of the game and his humility. You will be missed by me and everyone who ever heard you call a game, and you played such an important role in my life and the lives of thousands of others who you never met. Job well done Pete and thank you. As today is the first full day of Hanukkah, I am beginning my countdown of the greatest Jewish baseball players of all time. This list is based upon the players success on the field and their contributions off the field. Ultimately this list is my opinion, so if you disagree please feel free to debate with me. Steve Stone played 11 seasons for the San Francisco Giants, Chicago White Sox, Chicago Cubs, and Baltimore Orioles. He compiled a record of 107 wins and 93 loses, with a 3.97 ERA. He struck out 1,065 batters, his career Strike out to Walk ratio was 1.49, with a 1.355 career WHIP. Stone had his best year in 1980 with the Orioles. He went 25-7, with a 3.23 ERA, 149 Strikeouts, 9 Complete Games, pitched 250 2/3 innings, had a 1.297 WHIP, and Strikeout to Walk ratio of 1.48. he was named an All Star, won the Cy Young Award, and finished ninth in the MVP voting. Unfortunately, he would retire after the 1981 season, due to tendinitis from throwing so many curveballs during his career. After his playing career was over, Stone went to the booth to provide color commentary, first with the Cubs and later for the White Sox. 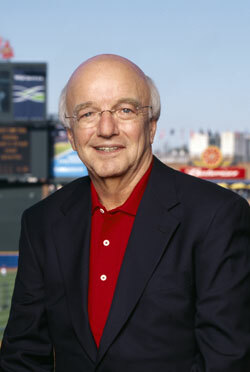 During his time in the broadcast booth, Stone has teamed up with legendary announcers Harry Carey and Hawk Harrelson. Also during his tenure with the Cubs, he announced with Chip Carey following the death of Harry Carey. 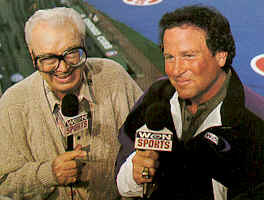 Personally I have fond memories of listening to Steve Stone call the Cubs games. I tuned in every afternoon once I got home from school and usually was able to listen to the last four or five innings of the game. His contribution to baseball has been both on the field as a good Major League pitcher and in the booth as an outstanding color commentator. Steve Stone rightly lands at #8 and leads off our list of the greatest Jewish baseball players of all time.